Many people are aware of the common knowledge of the negative effects that smoking has on the respiratory system. What’s really alarming in the fact that destruction to the human body happens to both regular smokers and those that receive secondhand smoke. There is ongoing research looking into the matter of the toxic effect(s) that cigarette smoke has on the lungs. There are many reasons for variations of an individual’s sensitivity regarding this matter. Thus, incorporating genetic factors as well as a myriad of other complexities will keep this subject matter a hot topic in scientific circles. How Does Smoking Affect Respiratory Functions With Younger Individuals? There’s been measured deterioration of the respiratory system with younger people in a clinical setting. Recent results have been used as a barometer for outreach to prevent young adults from having respiratory diseases. Respiratory tests have been undertaken where measurements were made with regards to chest expansion related to breathing along with the muscle strength of the respiratory system. Measuring the circumference and diameter was not costly and also noninvasive. The subjects in the study were thirty four young adult males aged 15 to 18 years of age who were both active smokers and non-smokers. To be a part of the study, participants completed questionnaires related to their existing smoking habits. Their respiratory systems were also measured covering the areas of chest expansion and the muscle strength of the respiratory system. Not surprisingly, all the respiratory systems in this test highlighted indicative differences between both groups of boys. Many of the active smokers smoke between one and three years even though their overall dependence on nicotine was low. Scientist concluded that highlighting the negative effects demonstrated by the young adults who smoke could be used as a deterrent. Early warnings should be enough of an education to demonstrate that respiratory problems would result with continued smoking. This information has been used in many prevention campaigns as a way to discourage young people to avoid smoking cigarettes altogether. How Does Environmental Tobacco Smoke Affect the Respiratory System? Non-smokers have been known to contract diseases related to tobacco smoke in their immediate environment. In the United States, there have been many bans on public smoking due to severe health effects associated with secondhand smoke. On March 29, 2004, the Irish government followed suit by banning all instances of smoking in public areas which included restaurants and bars. This study was used to examine how impactful this legislation effective the air-quality as well as respiratory effects with employees that work in the restaurant and bar environment in Dublin. Concentrations of particle issue 2.5 μm or smaller sized (PM2.5) and particulate matter in 42 clubs were determined and compared previously as well as after the restriction. Benzene concentrations were additionally gauged in 26 of the bars. Over 80 barmen chose to participate in the study were full pulmonary functions were measured. They exhaled carbon monoxide, and their salivary levels were measured before the ban was implemented as well as continue testing up to a year afterwards. Questionnaires were also completed highlighting their exposure to secondhand smoke as well as noting respiratory symptoms. Overall, there was over 80% reduction in particulate matter as well as 80.2% minimization of benzene concentration. There was also a 79% contraction in exhaled carbon monoxide. Salivary levels also contributed to and over 80% reduction as well. In addition, pulmonary tests showed extensive improvements. Many barmen also reported better overall health after the ban was implemented. It goes without saying that the researchers noted that there was a marked improvement of respiratory health due to lower levels of air pollution that was consistent in the pub environment. Continued research is needed to point out the urgency of measuring how cigarette smoke affects a child during different parts of his or her life. In this study, conducted by Pollution and the Young, over 50,000 children were observed covering 12 cross-sectional studies. The consistency that was covered using this method of research were whether or not the mother smoke cigarettes while she was pregnant, if a parental figure smoke cigarettes during a child’s first two years birth and whether a parent continued to smoke in present-day. Common symptoms of the children included asthma, bronchitis, morning cough as well as wheezing. The heterogeneity between the studies was measured using meta-analytical tools. Overwhelming evidence proved that the negative symptoms that the children were experiencing were connected to the parents that were smoking in the home. There was a direct correlation between a child’s respiratory health and whether or not there was pre-or postnatal smoking involved. It is important to point out that there was a higher level of asthma in children whose parents smoked while they were pregnant. However, there are varying correlations of respiratory illnesses associated with postnatal exposure. Nonetheless, there were significant negative consequences for all children involved with regards to their respiratory health in relation to secondhand smoke exposure. 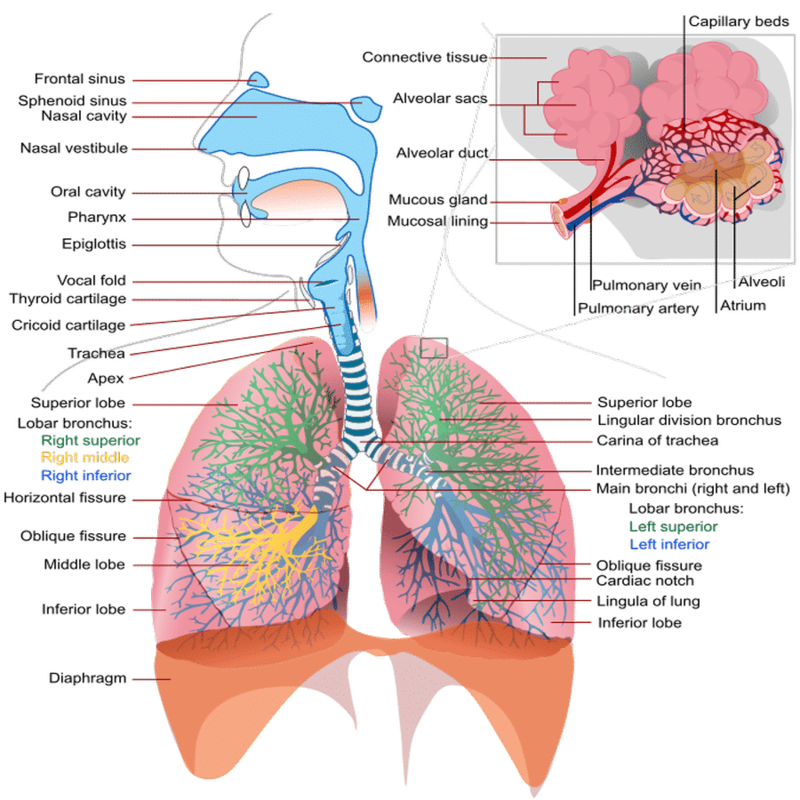 Damage to the respiratory system from smoking is slow, modern, and also fatal. A healthy and balanced breathing system is continuously cleansed. The mucus produced by the breathing tubules traps dirt and disease-causing microorganisms, which cilia sweep toward the mouth, where it could be done away with. Cigarette smoking significantly impairs this and researchers are reacting fervently to promote the message of stopping smoking entirely or not starting in the first place. Last updated by Mark Barrus at July 14, 2015 .